The interdenominational movement of the Women’s World Day of Prayer invites everyone to attend one of over 5,000 services being held annually. Unfortunately due to adverse weather conditions this service on Friday 2nd March was postponed. It is hoped to hold the service on Friday 9th March; look for revised details here or on our posts. The service is being held with the title ‘All God’s Creation is Very Good!’ We will join an estimated 3 million people around the world that day in a service which has been written this year by the women of Suriname in South America. This year’s service is being coordinated by Churches Together in Poynton, and is being held at Poynton Methodist Church at 2pm – ALL ARE WELCOME. 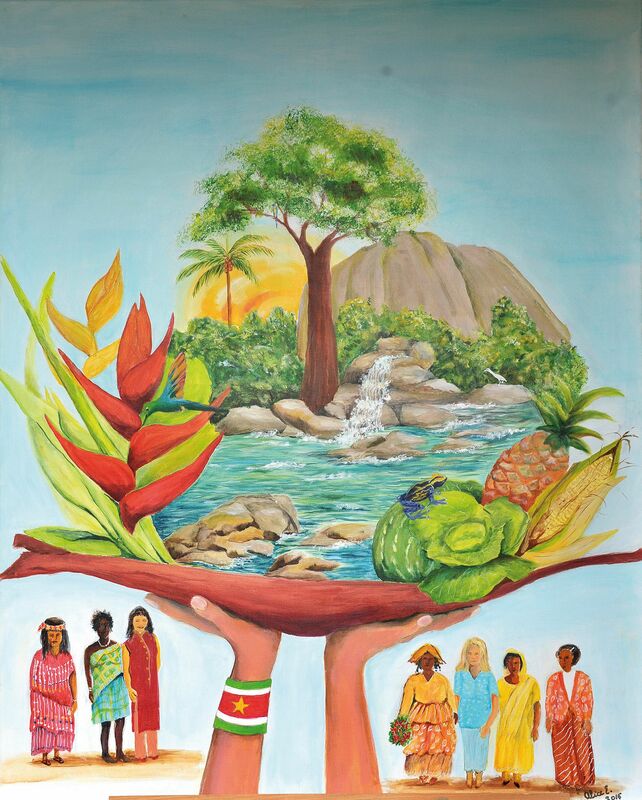 Let’s think and pray for the beautiful country of Suriname and consider our own response to environmental issues. Coffee / cake and Traidcraft Stall too. Please come along! Starting in Samoa as the sun rises, and ending as the sun sets off the coast of American Samoa, the service will have been translated into more than 95 languages and 1000 dialects as we are reminded that we have responsibilities in caring for this wonderful world we live in. With its vast rainforest and wealth of resources, Suriname asks us to pray for conservation and the protection of wildlife, through an awareness of pollution, misuse and abuse, as well as for the situation in Suriname and concerns for the future.